Apartments, Cottages, Condos, Houses - Provincetown Chamber of Commerce, Inc.
PTown Place. This is a wonderful location in the beginning of the West End of Provincetown – only one block from the water! We are located between The Boat Slip Resort and Mussel Beach Fitness Center, within walking distance of beaches, restaurants, nightlife and shops and galleries. We have four units offered for rent. The Cottage is a two bedroom / one bath. The Studio is a large room with King bed. The Captain’s Quarters is a one bedroom / one bath apartment. And The Penthouse is a two bedroom / one bath apartment with outstanding views of Provincetown Harbor. All are Air Conditioned with Flat Screen Cable TVs most with washer dryer some with dishwashers and The Captain’s Quarters has a fire place. Out door dining and living rooms including Weber Gas Grill available to all guests. One On Site/Off Street Parking Space for each apartment is included. You are welcome to book from our web site or give us a call we will be glad to answer any questions over the phone. Winslow Cottage is in the shadow of the Pilgrim Monument, 200 yards from Commercial Street and yet quiet and serene. 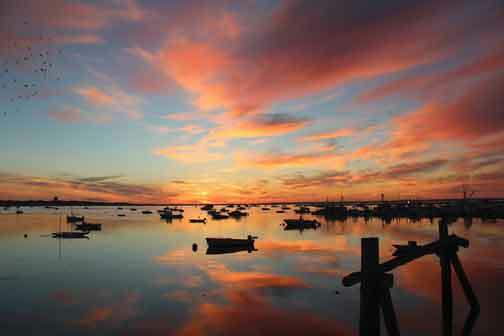 It is close to beaches, public tennis, children play area and the wonders of Provincetown. There are two units, each has two bedrooms, full kitchen, living room, sun porch/dining area, bathroom with washer and dryer and the top floor has a gas log stove. There is a common roof deck with water views and an outdoor barbecue grill. Many guests return and refer their friends. Amenities include: Central Heating & AC, Washer/Dryer, All Bedding & Linens, Dishwasher, Microwave/Toaster, Coffee Maker & Grinder, Dishes/Utensils/Cookware, TV/Cable/DVD, Stereo/Radio, WIFI, Outdoor Grill, Roof Deck, Ample Parking.